Members of the Strategic Trade Advisory Group have been named today. They will advise the government on future strategic trade policy issues, including on future trade agreements with the USA, Australia and New Zealand. The group includes 16 representatives from organisations – including businesses, trade unions and civil society – that cover a wide range of interests from all parts of the UK. It will meet at least 4 times a year and will be chaired by Trade Policy Minister George Hollingbery. This is part of the government’s commitment to an inclusive and transparent trade policy that works for all regions and nations of the UK. 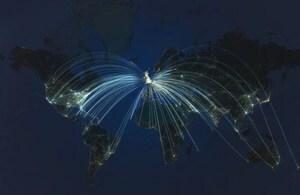 It follows a 14-week consultation period on our future trade agreements, which attracted around 600,000 responses. As part of the consultation, government ministers and senior officials also hosted series of 12 roundtables in partnership with businesses and interest groups, including the CBI and TUC. The UK has a golden opportunity to forge stronger trading relationships with some of the largest and fastest growing economies in the world as we leave the European Union. We will approach all trade negotiations in a transparent and inclusive way and the Strategic Trade Advisory Group will help us to secure new trade agreements that increase prosperity across the whole of the UK. The group includes representatives from across business, civil society and trade unions. This will make sure we have robust and productive discussions about the direction of our trade policy, taking all points of view into account. We are delighted to have been chosen to represent the business voice on the government’s new Strategic Trade Advisory Group, an important body that will steer the UK’s trade policy for years to come. Trade between the United Kingdom and international partners is the cornerstone of our strong economy, creating new jobs, raising productivity and increasing prosperity across the country and the globe. We look forward to working closely with the government to ensure the interests of business are prominently reflected in the UK’s trade policy, and that we take full advantage of expanding our trading footprint in rapidly growing markets. Exporting is critical to boosting small business productivity. It’s essential that the voice of small business is front and centre of developing trade policy including new free trade agreements and practical interventions to increase exporting across the globe. The Strategic Trade Advisory Group is an important step forward in ensuring the needs of small businesses in relation to trade are understood and delivered upon. For trade to work across all regions and nations in the UK, this group will allow an inclusive and transparent policy to be created, lowering costs for small firms and keeping trade easy. At Fairtrade, we know that decisions about trade policy can have a dramatic impact on developing country farmers and workers, and their access to our market. Participation in the UK government’s Strategic Advisory Group is a valuable opportunity to ensure that their voices are heard at the highest level and I welcome the opportunity to engage at this critical juncture. Fairtrade will continue to draw on the experiences of those 1.66 million Fairtrade producers, in 73 countries around the world, to argue for a just global trading system that delivers for those who continue to live and work in poverty.